Dr Michelle Holdsworth is the Principal Clinical Psychologist at Double Bay Clinical Psychology. 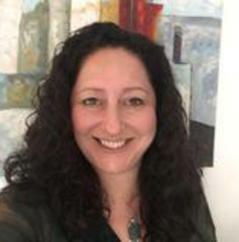 Michelle is an experienced Clinical Psychologist who received her psychology qualifications in the U.S. She has worked for the past 25 years internationally and in Australia in a wide range of outpatient and inpatient psychological health settings, including private practice, public clinics, hospitals, and universities. She is qualified to work with children, adolescents and adults. Michelle has experience in a number of different treatment modalities, including individual, couples and family therapy. Before commencing full-time private practice in Double Bay, she worked at the University of New South Wales Counselling and Psychological Services where she provided clinical services to students, as well as coordinated the psychology internship training program, supervising intern psychologists and intern clinical psychologists. Michelle has lived in the U.K., the U.S. and Australia and has worked with and known people presenting with a vast range of issues and concerns, as well as from many different cultural and ethnic backgrounds. She is also a published author in professional research journals such as The Journal of Clinical Child Psychology, Child Abuse and Neglect, and The British Journal of Psychology. She has also been a contributor to The Sydney Morning Herald and Cleo magazine. Michelle has a warm, empathic and genuine approach with her clients which helps put them at ease as they work to create lasting change. Given that different people have different personal concerns, reactions and needs, Michelle strongly believes that “one size doesn’t fit all” when it comes to psychotherapy. This ensures that following a thorough assessment, she will tailor her work and interventions to the needs of each individual client, drawing from a wide range of experience and therapeutic models. Michelle has extensive experience in a range of evidence-based therapeutic approaches including psychodynamic talk therapy, systemic and family therapy, clinical-child and adolescent therapy, and cognitive-behavioural therapy. In addition to doctoral training as a clinical and clinical-child psychologist, she has post-doctoral fellowship training though Harvard-Pilgrim Healthcare (USA) in brief and time-effective treatment approaches. Michelle has also worked with numerous clients in long-term psychotherapy. As such, she is flexible in her approach and can work with clients from those who are looking for a short-tern intervention to those looking for mid-term and longer-term psychotherapy to address more deep-seated issues. Fellow, APS College of Clinical Psychologists; American Psychological Association.